Vic Batista: Revelation 20 presents a future reality of joy and peace and so many other wonderful things prepared for God’s children during the Millennial Kingdom. After the thousand years are over, though, we’ll each personally witness the final clean up. That final clean up is the better news, because evil is finally going to end forever! 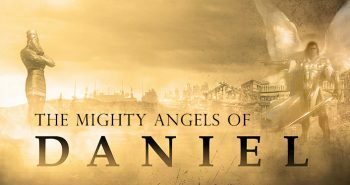 Nathan Jones: Right, we’ve been learning about God’s mighty angels throughout this study series on Revelation, but along the way there has also been the fallen angels called demons. After seven thousand plus years of rebellion against God, and for causing so much misery among mankind, now the Devil and all his demons finally get what’s coming to them. They are cast into the Lake of Fire, also known as Hell! As we get into the next section, Revelation 20:11-15, it is time for final judgment for all those who throughout human history have shook their fists in rebellion against God. 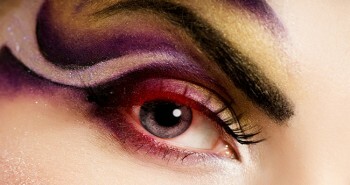 Vic Batista: What a scary picture, but only scary for those whose names have not been written in the Book of Life (Ps. 139:16). How does one get their name in written in the Book of Life? 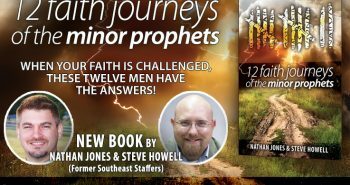 Nathan Jones: Actually, the Bible describes two books of life. Since you were born, your name can be found in the Book of Life. Everyone born has their name written into the Book of Life. Human history has finally come down to the last and final judgment. We are at the Second Resurrection. We can call it the Resurrection of the Unjust. This judgment is for those people who had died in unbelief and were sent to Hades to await the Great White Throne Judgment. They are those who had rejected the sacrifice of God’s Son. Now they stand face-to-face with their Creator. God has the books opened and each in turn are judged for their works done while alive on earth. But, there is one work that is missing from their portfolio. It is the work of Jesus Christ on the cross. They didn’t accept the only work that mattered, a work they didn’t do themselves, but that Jesus accomplished. And, regardless of how much good they may have done, because they rejected Christ’s saving work, therefore their sentence is Hell. The wrath of God that we read about in John 3:36 still hangs over their heads. Without the saving work of Jesus Christ, all must face the penalty for unforgiven rebellion against God, and that sentence is Hell. Not only are the unbelievers sentenced to the Lake of Fire, but we’ll see that Death itself and Hades, that holding place for those who have rejected Jesus, are also both cast into the Lake of Fire. That’s why Hell is called the Second Death, for when the unfaithful die they go to Hades, and from that holding place they are resurrected to be judged at the Great White Throne Judgment. Having failed the test of works, they are then sentenced to the Second Death, which is the Lake of Fire. The end of all God’s enemies and Death itself is God’s final victory. The Great White Throne Judgment is God’s final victory over sin, rebellion, suffering, sorrow, and finally death. This is the final victory for Jesus Christ in human history. Vic Batista: And that is why we Christians believe this is such good news. People often read the passages in Revelation and become fearful. But, not for the believer in Christ. We have nothing to fear, because our lives are in the Lord’s hands ever since we placed our faith in Him. The Great White Throne Judgment isn’t at all a judgment against the faithful, but the deserved end of all the wicked in the world. Nathan Jones: Yes, don’t we want the mass murderers to be punished? Don’t we want the victims of child molesters, liars, thieves, crooks, and whatnot to finally get justice? We were all counted among the sinners, that is until Jesus Christ saved us, cleansed us, and made us pure. As long as people reject God’s Son, their sins remain still unforgiven. Therefore, the punishment for their sins still hangs over them. As long as people haven’t accepted Jesus, they will face the Second Death, which is Hell. Vic Batista: While there is still time left on this earth, God has some wonderful things in store for each of us, but it begins by starting a saving relationship with Him. That relationship begins by surrendering your life to Jesus Christ, and in faith and repentance accepting Jesus as your Lord and Savior. 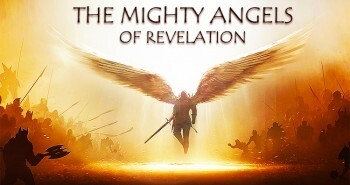 In the seventieth segment of our series “The Mighty Angels of Revelation,” we will enter Revelation 21 and into the wonder that is the Eternal State! Next PostThe Inbox: What Are Some Misconceptions About the Rapture?